The good weather and the high summer temperatures invites us to practice more activities and outdoor sports, but do not forget to take some precautions to avoid sunstroke and discomfort caused by excessive heat. 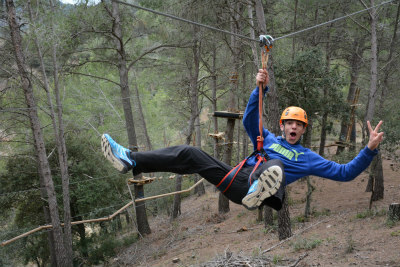 Enjoy the summer without risk in the sun of Priorat. 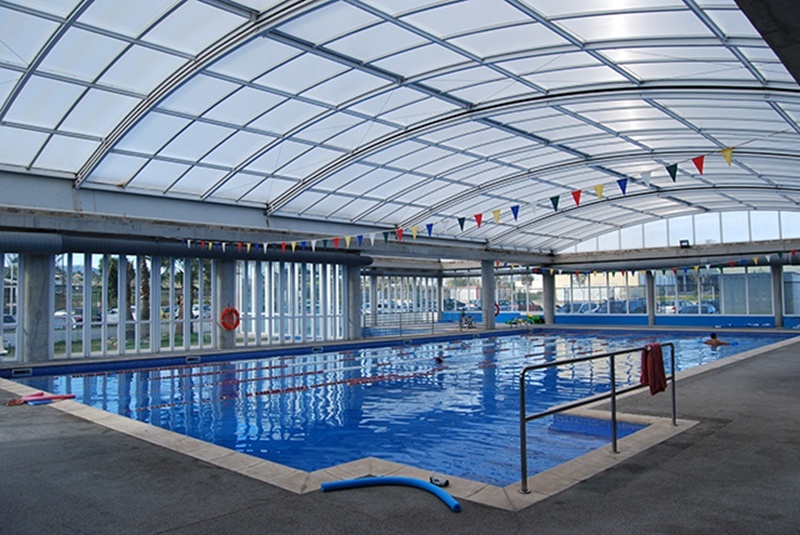 Avoid sports activities in the middle of the day, protect your head and try to be well hydrated. In the summer it is essential drink more liquids such as water or juices to prevent dehydration. Take special care with the children. It is advisable to use caps, hats etc. to protect your head from direct sunlight and avoid sunstroke. Although you don't go to beach or pool , is necessary apply sunscreen before leaving home, to avoid possible burns and skin diseases. We know that winter has been long and finally can enjoy the sun and vacation but need sun exposure gradually, a few minutes every day , gradually increasing time in the following days. Do not forget that in the countryside or in the mountains there are also risks of sunburn, protect yourself properly. 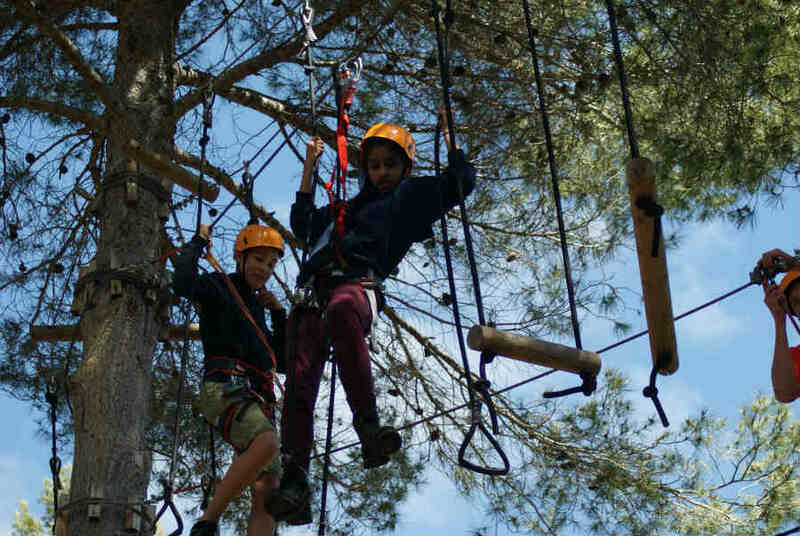 Note that however much the Vies Altes adventure park is under a pine grove spectacular over 120 hectares, the sun can reach record temperatures of 35 ° C as has happened this July. 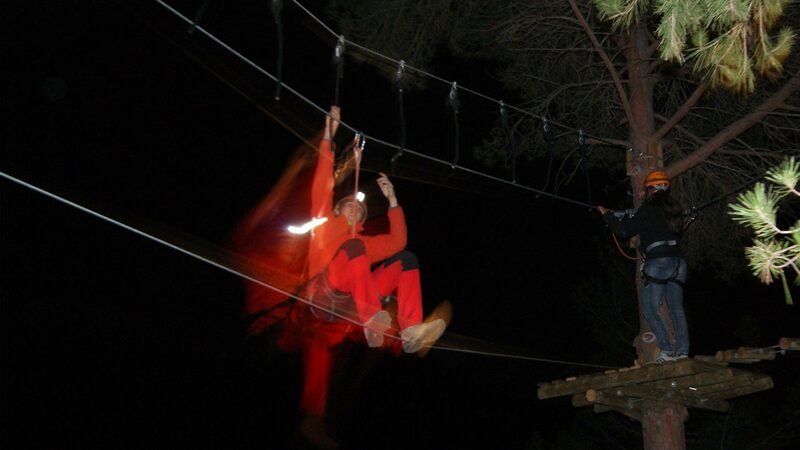 The night time activities of Vies Altes, have a special charm, thanks to its location the adventurers will enjoy magnificent views of the open sky and stars, the cool and the night scent of the mountains slate of Priorat and the feeling of freedom that experienced when you jump it through one of our ziplines. 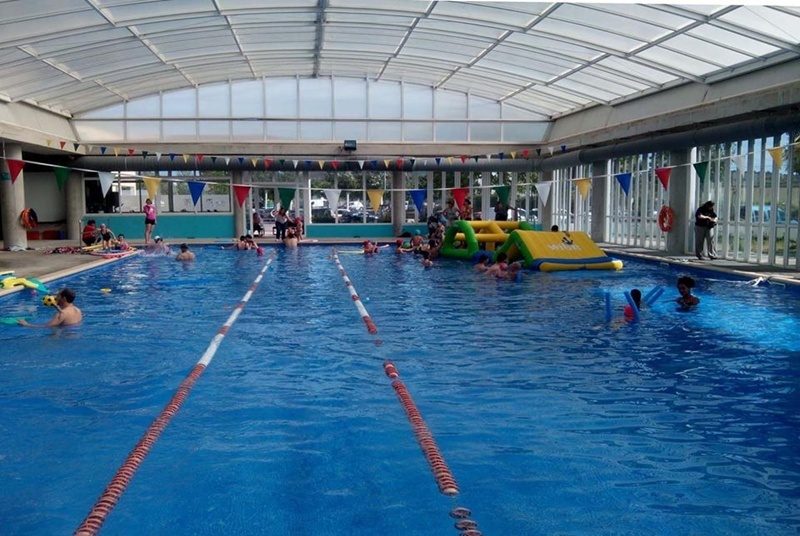 If you book two circuits in Vies Altes before 10a.m in the morning with your group of friends, we give you an entry to the swimming pool for enjoy your perfect holiday.